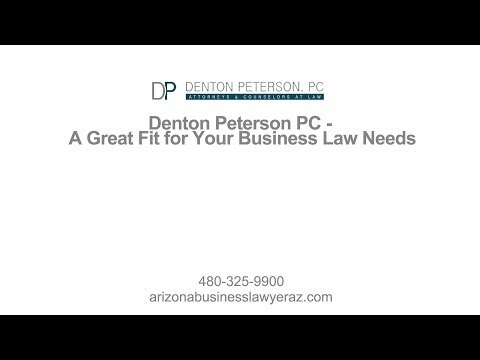 As owners and representatives of small businesses ourselves, we, the Arizona business attorneys at Denton & Peterson, have experienced many of the complexities that are part of operating a business. We understand that between clients, employees and other business partners, small business owners do not have much spare time to worry about the many legal issues that may face them. Our experience and knowledge allow us to take on some of your business’s more convoluted challenges, freeing you to focus on what matters most: taking your business to the next level. One of the first decisions every entrepreneur must make when starting a business is which organization type best suits the goals and function of the business. Whether you wish to operate for profit or not for profit, as a sole proprietorship, partnership, limited liability company, corporation, or any permutation of these entities, making the best strategic decision for your venture requires a clear understanding of the pros and cons of each structure. The way in which your business is organized affects, among other things, how you and your business are taxed, the extent of your personal liability for the debts your business, and how the entity can be controlled. As your business evolves, you may discover that the organizational structure you chose at the onset of the venture no longer makes sense. In situations like this, the Denton Peterson legal team can help you make a smooth transition from one entity type to another. Many people underestimate the difficulty of properly forming a business that accomplishes their goals. Each type of business organization has slightly different requirements for formal registration, and any misstep in the formal organization of the business can lead to devastating consequences, including unexpected personal liability and higher taxes. The experienced attorneys at Denton Peterson are familiar with the laws of business registration in Arizona but we can also help you with business needs outside of Arizona as well. We can help you register your business in other states, comply with business opportunity laws, and set up LLCs and corporations in other states, including Delaware. We can talk to you about the advantage of choosing one state over another when you create your corporation or LLC. Our professionals also help franchisor clients register in appropriate states all over the U.S.
We help out-of-state clients who need to form entities in Arizona, amend Arizona entities, and register their out-of-state entities to do business in Arizona. We also help obtain and register trade names and trademarks in Arizona. To find out whether a particular business name or trade name is available in Arizona, please click here. and other business entities, as well as the various options available to you regarding these entities, contact our Mesa law firm. 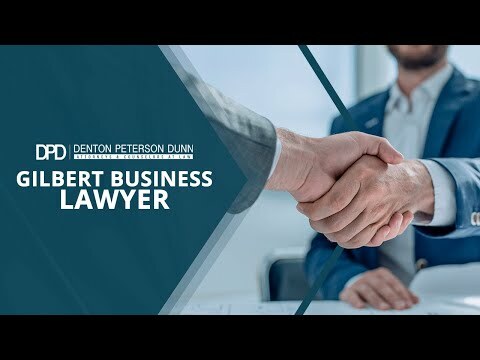 Whether you already know which business structure you prefer and you just need help achieving it, or you have not yet thought about the issue, the Denton Peterson legal team has vast experience working with entrepreneurs, and we are excited to help your business take this critical first step. As a business owner, your time is precious. Allow us to take care of all your business’s filing requirements, so that you can focus on meeting the needs and exceeding the expectations of your customers, employees, partners and stakeholders. Owning and operating a business is a physical manifestation of one’s freedom to contract. When you own a business, you are constantly contracting with employees, partners and customers to establish the rights and obligations of each party. The Denton Peterson business attorneys understand that having a well-drafted contract in the beginning can prevent unnecessary litigation and costs associated with the same in the future. We strive to help your business develop and maintain beneficial business relationships through skillful contracting. To draft a business contract that establishes the rights and obligations of the business and third parties, a lawyer must anticipate all the possible situations that could affect the ways in which the business and third party interact. Through its many years of experience negotiating, drafting and reviewing a wide variety of business contracts, the legal team at Denton Peterson is able to anticipate all of these potential situations and establish the rights and obligations of each party before the situation becomes a concern. Obtained several emergency temporary restraining orders in cases involving confidentiality and non-compete agreements. Obtained a six-figure settlement from an insurance company for selling a business owner a policy not suitable to his needs. Obtained a six-figure settlement for a business whose inventory was destroyed in a fire caused by a neighbor. Convinced the court to completely dismiss a lawsuit filed against our business client by a dissatisfied customer. Successfully avoided litigation threatened by the former employee of one of our business broker clients for an alleged breach of contract. We appreciate that litigation can be harmful to your business and its reputation, so, when possible and prudent, our Arizona business lawyers work hard to keep our clients out of the courtroom. In the past, we have been successful with both private and court-related alternative dispute resolution methods, including arbitration and mediation. We will always explore the option of settling a case before your business is forced to expend resources at trial. Whatever challenges your business faces, the Denton Peterson legal team is prepared to help you reach a solution that puts your business in position to thrive and grow. Contact us today to schedule an initial consultation to discuss all of your business law needs. Brad Denton and Elena Cottam represented a client with a mobile ultrasound business in several states in the northeastern U.S. Our client had purchased ultrasound machines that turned out to be faulty. We convinced the manufacturer to substitute out every machine for a new, higher-level machine at no cost to our clients. Brad Denton and Elena Cottam assisted a franchising business that needed legal help in several areas of corporate law, including evaluating and revising the company FDD; assisting in a buyout among owners; negotiating pre-existing debt with creditors; negotiating the terms of a pre-existing lease; creating new subsidiary companies; transferring ownership; and exchanging releases. Not every case justified a long, complicated representation. In a case where cost savings and brevity was our business client’s primary concern, Brad Denton helped a client prepare a one-page release to cover several important areas that would normally be handled in a longer, more complicated document.